And so, it comes down to this. 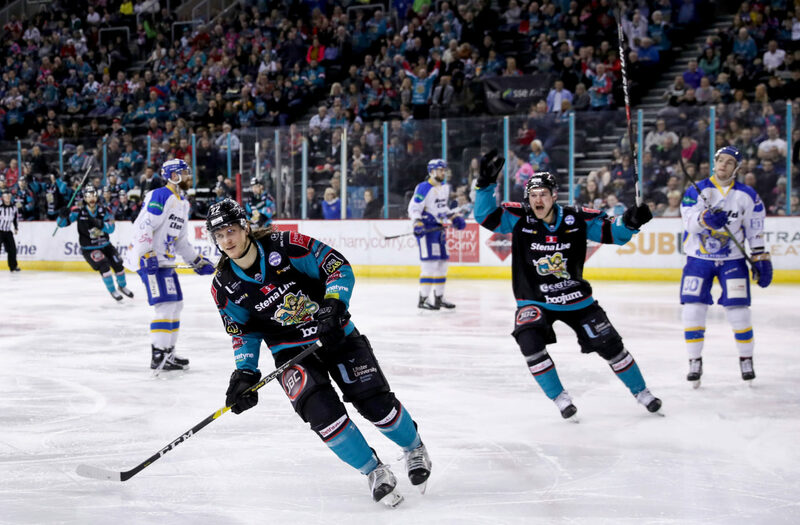 In order for the Belfast Giants to retain any hope of Elite League silverware, they must win out over the Fife Flyers and Dundee Stars this weekend. Everything else is out of their hands. A slashing power play seconds later piled the pressure on further, but the Giants were unable to convert despite good pressure. 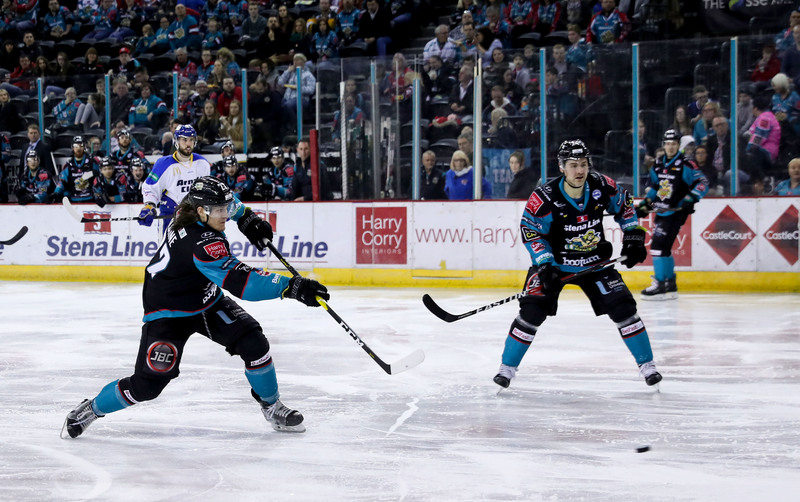 In fact, the story of the opening ten minutes was one of constant pressure in the Fife zone, as Belfast’s forwards pressed high and drove the net. Most notably, some absolutely gorgeous link up play between Kyle Baun and Jordan Smotherman forced Shane Owen into an equally stunning save. Patrick Dwyer sat for roughing at 8.19, the NHL veteran taking exception to the Flyers physicality against the penalty box doors. With a minute left in the period (of which the Giants were offensively dominant) Rick Pinkston headed to the box for holding. 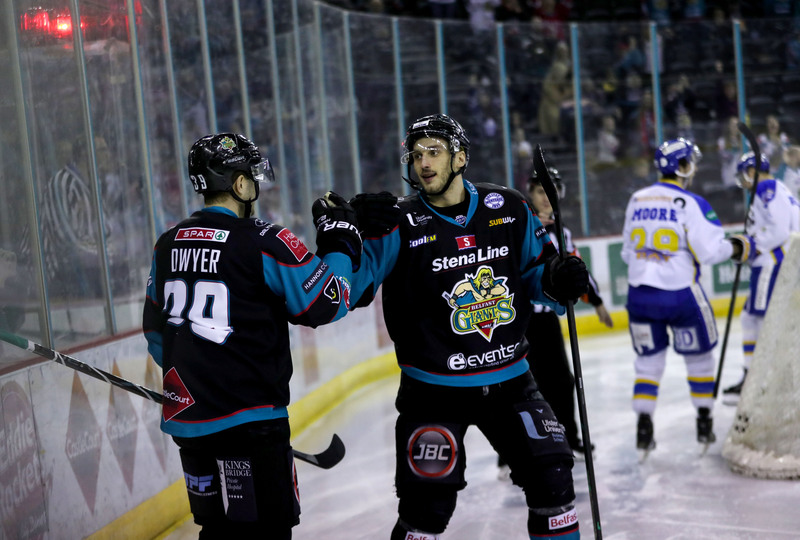 Belfast continued their relentless pressure in the Fife zone, with goalie Shane Owen continuing to fight off the tide. Fife Defenseman Rick Pinkston was helped off the ice and down the tunnel late into the second, very much looking like his night was over. 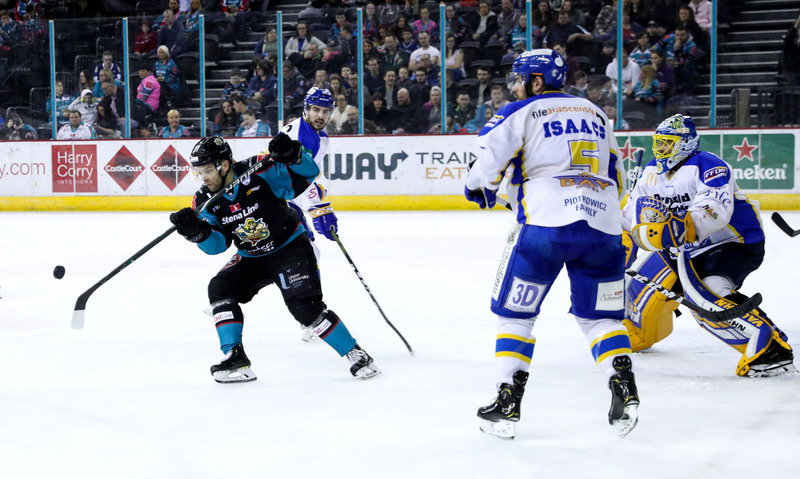 With 47 seconds left in the middle period, Paul Swindlehurst headed to the penalty box for elbowing- leaving Fife with a minute and change on the power playing heading into the final period. A Rihards Birzins cross checking call at 43.35 led to a Kyle Baun marker (Assist: Smotherman, Shields) (3-0), and was to be the end of the night for Fife goalie Shane Owen- boss Todd Dutiaume no doubt keeping one eye on the Saturday and Sunday games lying in store for his team. Backup goalie Andrew Little was beaten almost immediately with a beautiful unsassisted snipe from Lewis Hook at 44.55. Another Belfast Giant who sorely deserves to have his name on the game sheet for his relentless work ethic all season long. 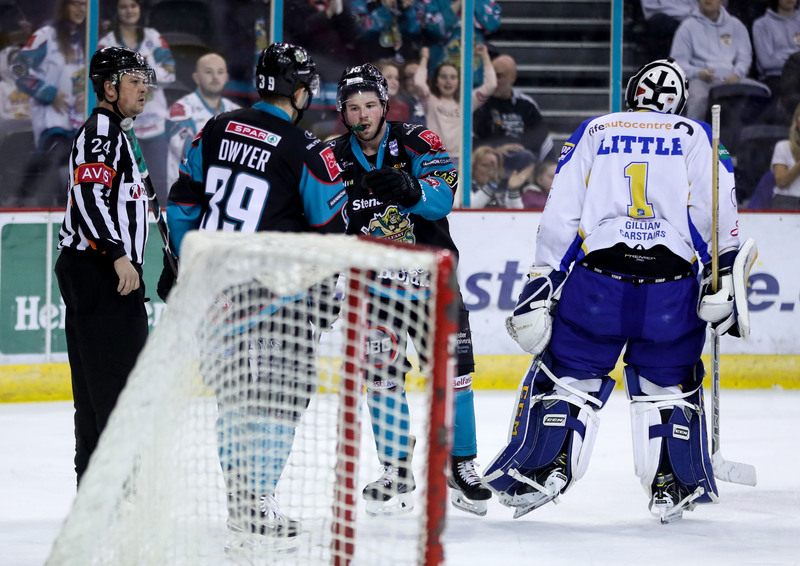 A Josh Roach interference call at 46.15 was killed off, before David Rutherford came agonisingly close to Belfast’s 5th-rounding the net twice before the puck was frozen in the scramble. 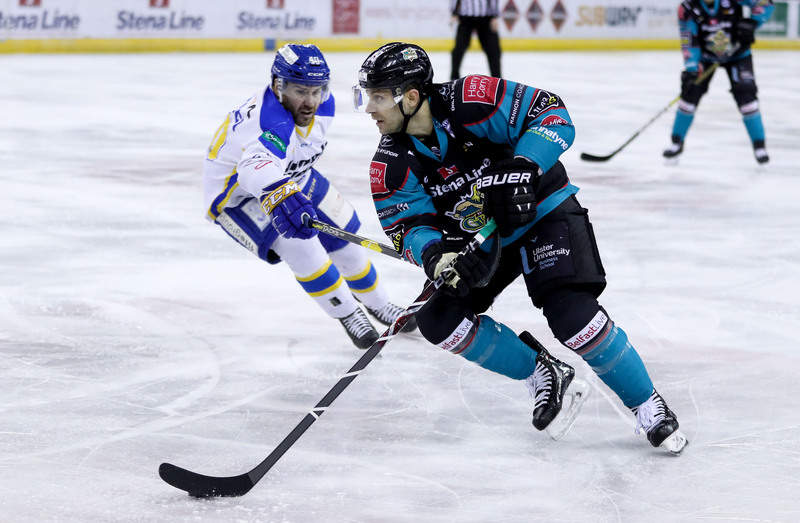 There was just enough time for Blair Riley to almost remove Marcus Basara’s head in a sizeable melee down the West end- with Belfast closing out the game on the power play to a huge ovation.